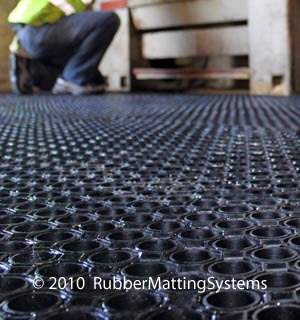 Our heavy duty anti fatigue rubber matting is used in manufacturing and commercial environments. Anti fatigue matting is used to cover hard surfaces eg concrete or ceramic tiled floors. Anti fatigue matting is installed in workplaces where the workforce spend alot of their time on their feet. Anti fatigue matting can increase productivity, reduce absenteeism and help to create a better working environment. Use of Anti fatigue matting also demonstrates that management care about the welfare of their employees. Our Heavy duty Anti fatigue matting elevates staff from the cold hard concrete floor. Anti fatigue matting protects staff from work related conditions and ailments such as sore feet, collapsed arches, knee, leg and back injuries Our heavy duty anti fatigue matting can help protect against postural related conditions and blood circulation problems in the feet and legs. Our anti fatigue matting also act as as anti-slip mats. They can prevent both the workforce and the public from slipping on the factory or showroom floor and secondly in the event of a fall anti fatigue matting will cushion the impact, thereby protecting the person from serious injury. Our rubber anti fatigue matting help prevent fatigue related conditions, not only do they remove some of the fatigue attributable to being on your feet all day, but will result in a fresher workforce at the end of the day. 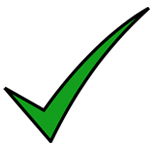 This means a better working environment,better quality of life, more motivated staff, fewer accidents and improved productivity. 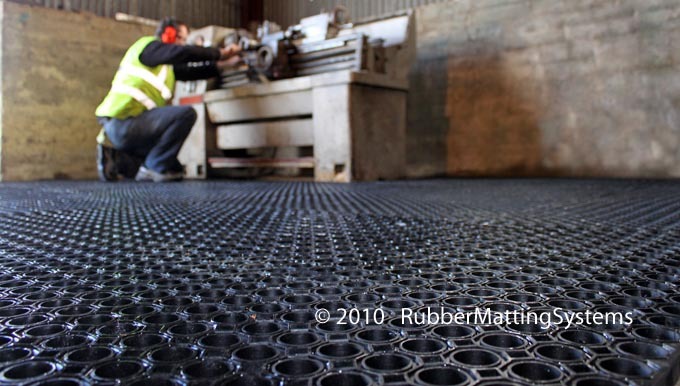 Our heavy duty rubber anti fatigue matting will hold their value exceptionally well. They are designed to last for a very long time, up to 15 years plus and can be lifted and moved to another location when needed or they can be lifted and sold.